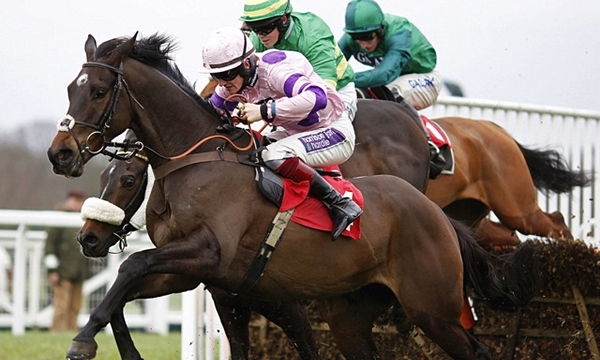 The Triumph Hurdle is the juvenile championship race at the Cheltenham Festival. The race has been won by subsequent Champion Hurdlers Kribensis (1988) and Katchit (2007). Other top class winners include Mysilv (1994), Zarkandar (2011) and Our Conor (2013). Nicky Henderson has trained the winner on six occasions, most recently with Peace And Co last season who led home a 1,2,3 for the stable. The Triumph Hurdle trials have been largely inconclusive this year and Irish raider Ivanovich Gorbatov heads the market at around 4-1. He is trained by leading flat trainer Aidan O’Brien but was beaten into fourth place at Leopardstown in February. He started odds-on that day but found nothing between the last two flights behind Footpad and Allblak Des Places. Sceau Royal represents the Alan King stable, the winner of three of his five races in the UK. He was beaten a nose by Leoncavallo at Wetherby in October and was disqualified after passing the post in front at Chepstow on his previous start. His best performance was a length and three-quarters victory over Adrien Du Pont at Cheltenham in December. He has a good turn of foot and races in the colours of Simon Munir and Isaac Souede, owners of the first and second last year. Paul Nicholls has several possible contenders here including Connetable and Clan Des Obeaux. The former was beaten by Gibralfaro on his UK debut at Ascot and the winner was well beaten at Kempton last weekend. Connetable then put up a useful performance to beat Rayvin Black and Peace And Co at Sandown. It takes a smart four-year-old to beat his elders at this time of the season so that performance has to be respected. Clan Des Obeaux looked certain to score when powering into the lead at Cheltenham in January but was caught by Henderson’s Protek Des Flos on the run-in. He was attempting to concede 4lbs to the runner-up who has won again since at Sandown. Both victories for Protek Des Flos have been in heavy ground. Footpad is entitled to take his chance after his shock victory at Leopardstown which came in a first-time hood. Mullins could also saddle Let’s Dance who was third behind Footpad in that race. She had previously chased home Ivanovich Gorbatov and is yet to win in three starts. Zubayr, Frodon, Fixe Le Kap, Tommy Silver and Apples Jade are others to consider in a typically wide open renewal of the Triumph Hurdle.